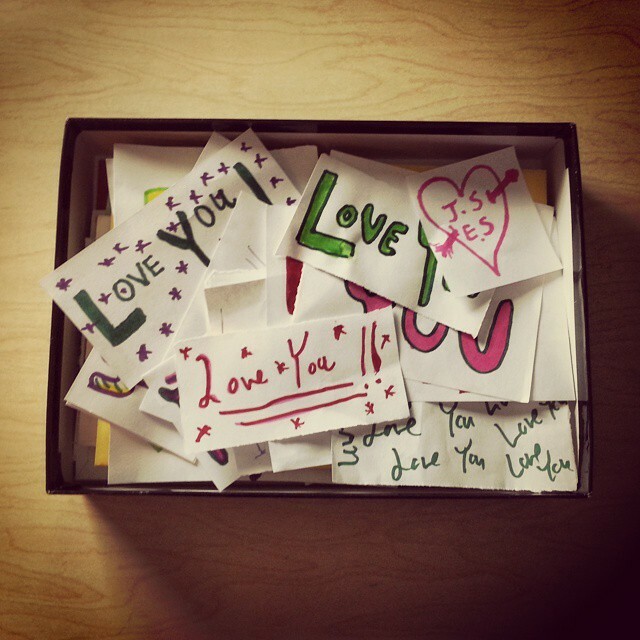 April Love prompt: “love is.” The way he leaves me notes on the kitchen counter, the way he makes each one different, the way he committed to it when he found out I was saving them, and the way it was already 20 years into our relationship when he started. April Love prompt: “clouds.” When I woke up that morning and saw the prompt, I didn’t think I was going to get a good picture. The sky was grey and overcast. It had been raining for the past few days and the sky was one big flat cloud with no edges. 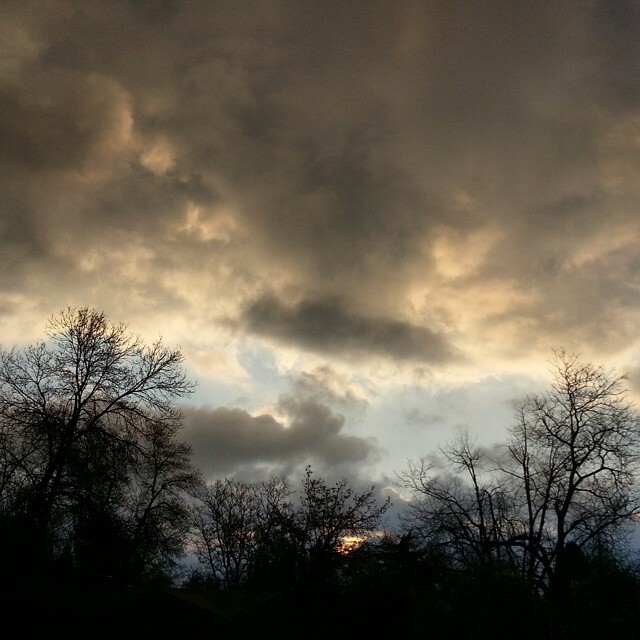 Then, as I was getting ready to take the dogs for a walk, the sky started to clear. There was a break as the sun was rising. I stepped out on to the front porch and took this picture. 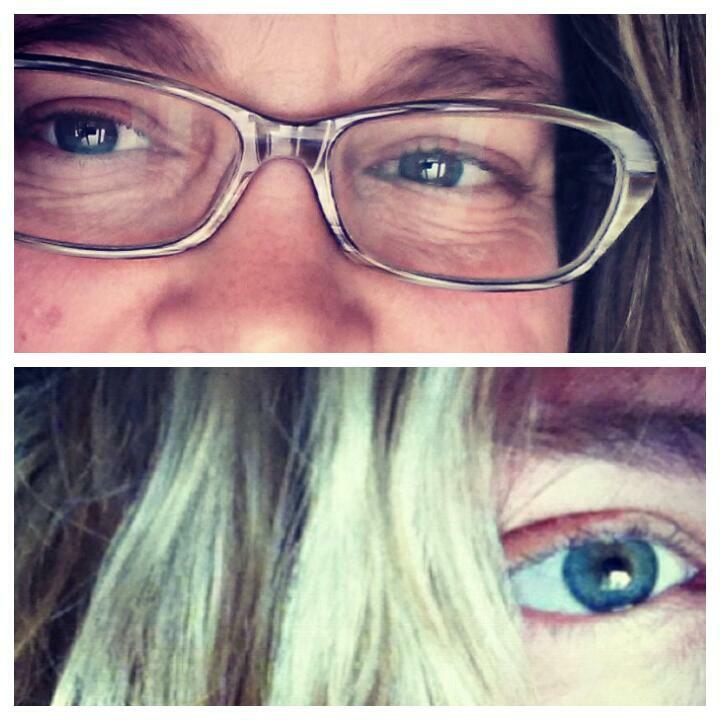 April Love prompt: “my eyes.” Hazel, which isn’t so much a color as a mix of colors — blue, green, and brown. Depending on the light, on what I’m wearing, the color shifts. My eyes don’t match either, each one has its own particular pattern of color and swirl. This entry was posted in April Love and tagged April Love on April 29, 2015 by jillsalahub.